Iguana Cay and Joe Grant Cay as seen from East Caicos. 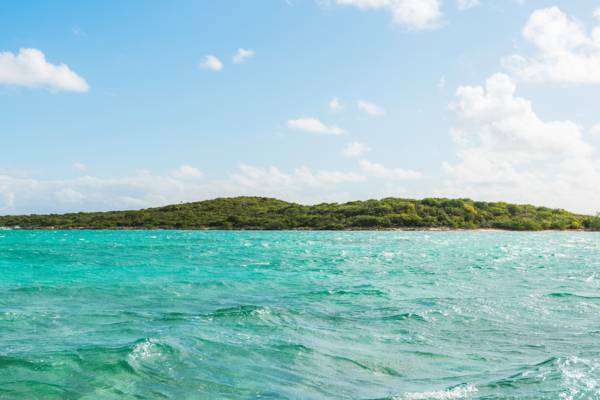 Found in the beautiful and shallow bay between East Caicos and Joe Grant Cay, Iguana Cay is an uninhabited 15 acre island. Much of the coastline is low limestone ironshore, but a small beach is found on both the south and north ends of the cay. Iguana Cay, Turks and Caicos.